Enjoy unforgettable moments and experience the beauty of the Finnish landscape while on the water. Take a leisurely cruise in the magnificent surroundings of Lake Vanajavesi and Lake Pyhäjärvi, located between the cities of Hämeenlinna and Tampere. 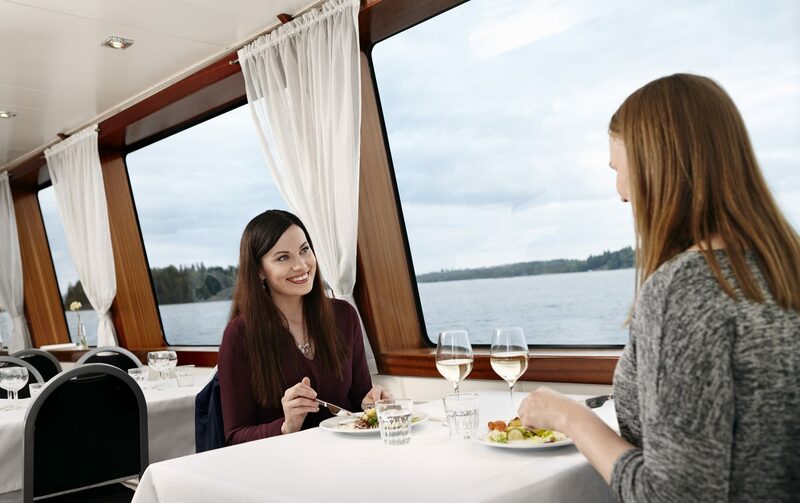 For shorter cruises on Lake Pyhäjärvi, we focus on creating a great summer ambiance and serving delicious food. This summer you will be entertained by our various events on board, from DJ sets to rock, jazz and blues shows. Steamboat Tarjanne, the great dame, still holds her charm even after 100 years. The blow of the boat’s famous steam whistle sets you off on your journey on Lake Näsijärvi to discover the unique natural surroundings while heading towards the towns of Ruovesi and Virrat. In addition to these wonderful destinations and beautiful scenery each of our ships include a comfortable restaurant, where you and your whole family can enjoy delicious dishes. Hopealinjat offers you various experiences on the water – choose your favourite and hop aboard!